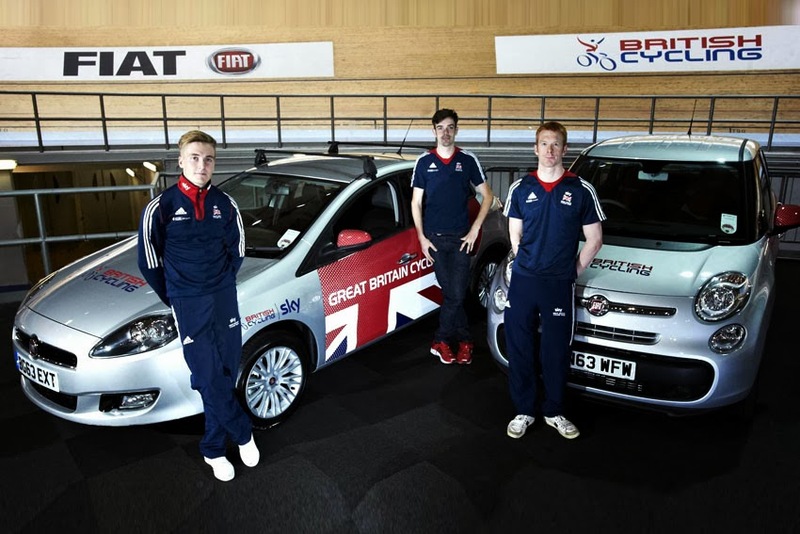 In addition to the central partnership agreement, Fiat has been a regular supporter of British Cycling's major events programme, with a presence at Track World Cups in Manchester, London and Glasgow helping to ensure that British riders gain maximum exposure on home soil against the best in the world. The extension will see Fiat continue to provide a fleet of support vehicles, including a number of new Fiat 500L models, to key aspects of British Cycling activity. The new Fiat 500L is perfectly suited for the needs of British Cycling, offering great interior space, versatility, fuel-efficiency and a range of cycle-friendly accessories. Go-Ride Coaches will each use a new Fiat Doblo to make visits to schools and clubs in order to deliver practical cycling sessions for young people, while at the other end of the spectrum, vehicles from across the Fiat Professional range are used by elite performance coaches in major events throughout Europe. "We are delighted to have been able to extend our relationship with Fiat as we look ahead to delivering success in Rio 2016. Fiat has been a key supporter of our ongoing membership drive and the continuation of this partnership further highlights the strength of the programmes we are running across all of British Cycling - from grassroots participation to elite performance. Fiat has even gone so far as to produce the limited edition Fiat Punto GBT prior to London 2012 to provide fans with a unique way to strengthen their affinity with the elite riders, and it has also supported British Cycling's campaigning work with their 'Let's Clear the Air' campaign that aimed to promote mutual respect between all road users," said British Cycling Chief Executive, Ian Drake. "We are delighted to extend our association with Britain's best performing sports federation and we look forward to helping them build upon their success in the sporting arena and cycling in general. Fiat vehicles are a perfect match for the demanding requirements of British Cycling in terms of space, comfort, versatility and this is reflected in the significant increase in the popularity of our vehicles amongst British Cycling members who are opting to purchase our vehicles. Our position as Europe's lowest CO2 car manufacturer is also perfectly in tune with the ethos of cycling as a sustainable form of transport," said Elena Bernardelli, Marketing Director, Fiat Group Automobiles UK.